Last September, Jon Howe returned to school by enrolling in Kwantlen Polytechnic University’s Brewing and Brewery Operations Program. A year later he returned again—this time as an instructor. Prior to coming to KPU, Howe earned a degree in Biology at UBC and worked as a researcher at the UBC Hospital studying fetal alcohol syndrome. 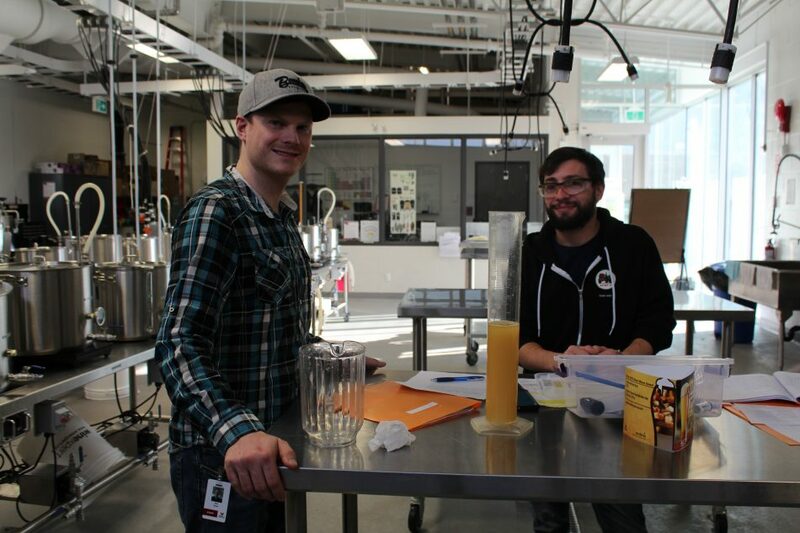 As an avid home brewer, he eventually decided to change careers and applied to the KPU Brewing and Brewery Operations program. Howe excelled in the science-based courses as a first-year student. Over the summer between his first and second year, he gained professional work experience at Bomber Brewing, where he was hired as an assistant brewer. His primary role there was in quality assessment and quality management, but he also practiced lab sampling and fermentation monitoring. That summer, he received a general email informing the class that a new instructor position was available in the Brewing program. Because he figured that he had nothing to lose by doing so, Howe applied and was soon surprised to learn that he had been hired as the new instructor. As simple as that, he became a teacher to his former classmates. Howe’s former classmates are also quick to comment on the strangeness of their new learning situation. Although their relationship to him is now undeniably different than it used to be, they are dedicated to respecting him as both a person and an instructor. Howe is currently an instructor in the program’s course on brewing and the lab component of its class on packaging and finishing. So far, he is enjoying his new role as instructor and feels at home in the academic environment that KPU provides. While he is considering eventually returning to the program as a student in order to obtain his diploma, he’s happy with where he is for now. “I really enjoy being here on brew days with the students, discussing the recipes that they are thinking of brewing, experimenting with ingredients and all those kind of things,” he says.